Every year or two, golf’s major publications produce their golf course ranking lists, and millions of golfers run to check off their conquests and debate with their buddies the merits of certain courses. It’s fun, and a process nearly every golfer enjoys. After scanning the list, debates ensue: “How did this course rank so high?” “I can’t believe this ranked so low!”. I am guilty of this too. I’m not a big fan of the idea of ranking courses but understand that they are important to the game of golf. They create significant buzz, allow serious and casual golfers alike to dream and aspire to play certain courses, provide exposure and publicity for the courses on the list, and influence a reader's perception of a certain place. But most importantly, the rankings influence and encourage a certain type of future golf course design, inevitably altering the future of golf. Simply put, bad rankings are bad for the game of golf. 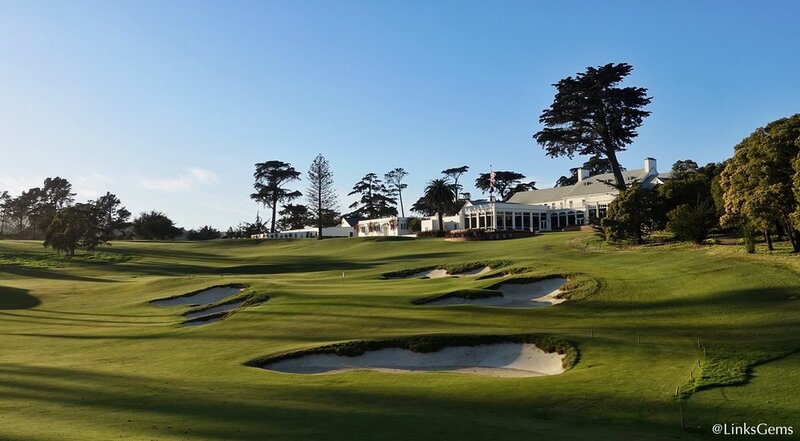 Last week, Golf Digest released their latest “America’s 100 Greatest Golf Courses”. It’s arguably the most popular feature piece the media company produces. It garners tremendous revenue for the outlet through magazine sales and impression-based advertising on their website. 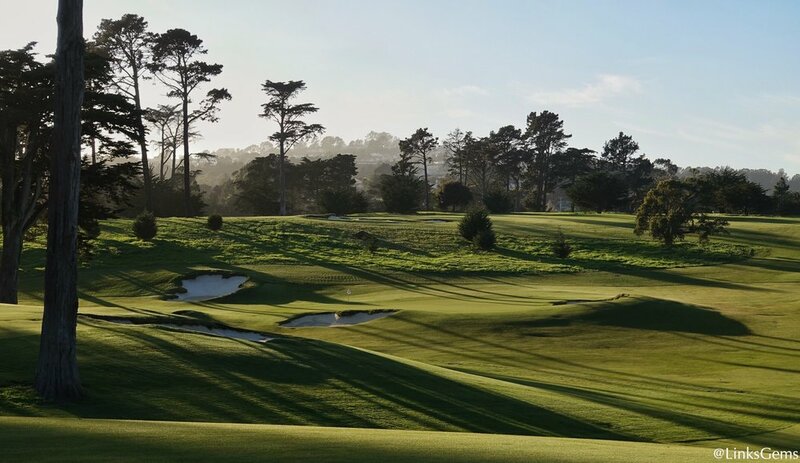 As I have gotten the opportunity to experience more of the country’s best courses, this list has gone from a list I respected and looked to for guidance when planning trips to something that makes my blood boil. While I hardly would consider myself the end-all-be-all guru of golf courses, I do believe I have a firm grasp of what makes a great golf course, a good golf course and a bad golf course. Over the years, I have come to realize that Golf Digest’s list favors a specific type of golf course, and is filled with a handful of egregiously awful rankings. The culprit behind the bad rankings is Golf Digest’s system which is based on seven criteria: Design Variety, Shot Values, Conditioning, Memorability, Aesthetics & Ambiance. The individual factors are scored on a scale of one to ten, with ten being the best. Each factor accounts for 12.5% of a course’s overall score except for “shot values” which is worth 25% of the ranking. These numbers are tallied and create a system which measures against a perfect score of 80. In order for a golf course to be ranked, it needs to have had a minimum of 45 ratings over the last five years. When it comes time to assemble the list, Golf Digest compiles the ratings from each course and averages out the scores, and boom there's your list. Now that we have covered the basics, let’s take a look at how Golf Digest defines each of their seven factors. 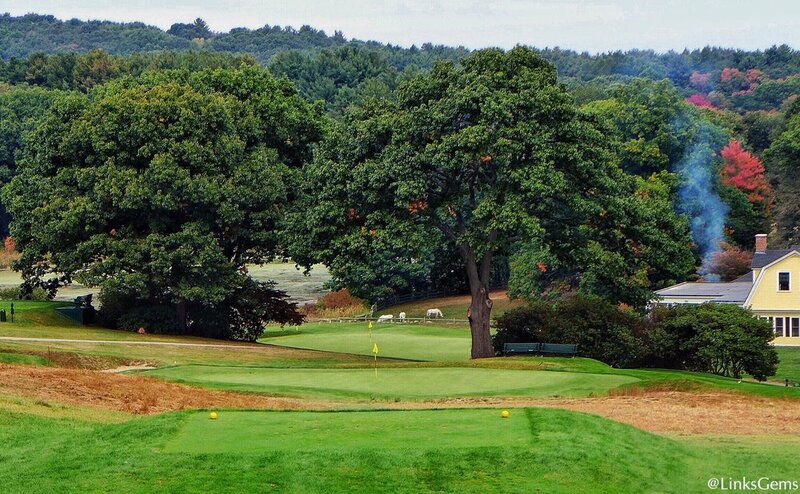 Design Variety - 12.5% of rating - How varied are the holes in differing lengths, configurations, hazard placements, green shapes and green contours? Resistance to Scoring - 12.5% of rating - How difficult, while still being fair, is the course for a scratch player from the back tees? Shot Value - 25% of rating - How well do the holes pose a variety of risks and rewards and equally test length, accuracy and finesse? Memorability - 12.5% of rating - How well do the design features provide individuality to each hole yet a collective continuity to the entire 18? Aesthetics - 12.5% of rating - How well do the scenic values of the course add to the pleasure of a round? Ambiance - 12.5% of the rating - How well does the overall feel and atmosphere of the course reflect or uphold the traditional values of the game? Conditioning - 12.5% of the rating - How firm, fast and rolling were the fairways, how firm yet receptive were the greens and how true were the roll of putts on the day you played the course? As you can see, some of Golf Digest’s ranking criteria are about the actual golf course, but not all of them. 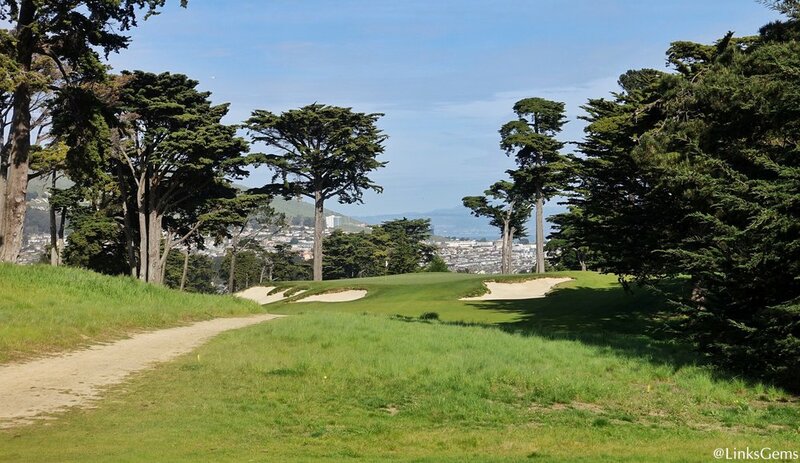 When setting out to rank “America’s Greatest Golf Courses” I would contend that most of the system should be about the course. Ambience has little to no impact on whether or not the golf course is great. Sure, an ambiance can make a club or resort great, but we are ranking the top 100 golf courses, not clubs. Aesthetics is quite subjective, and can be extremely different from one rater to the next. While I may love minimalist design traits, someone else may love an artificial aesthetic. In the end, aesthetics have very little bearing on how great the golf course is. Conditioning, especially in the way Golf Digest describes it. Asking “How firm, fast and rolling were the fairways, how firm yet receptive were the greens and how true were the roll of putts on the day you played the course?” is a horrible way to rate a golf course. How is a course supposed to play “firm and fast” if it has rained four out of the last five days? What if the course aerated its greens two days before a rater played? I do believe conditioning is important in rating a golf course, but not in the way Golf Digest has trained their raters to do so. To recap, these three criteria have little to no bearing on how “great” a golf course is, yet make up 37.5% of the scoring. Unfortunately, the remaining 62.5% is hardly perfect. I am a better than scratch player. I can enjoy a round of golf playing any tee box on any golf course. Unfortunately, the average golfer according to the USGA carries roughly a 15 handicap. It’s why when I play golf at a new course, I think about how much my dad (a 15 handicap) might enjoy it. I like this category at first glance, but think it probably encompasses a few too many factors. I would like to see this category split up to address two or three more specific factors that fall into this subcategory more closely such as strategy/options, and whether or not it tests all the clubs in your bag. A vital aspect of any round. When you play a great golf course, you should remember it vividly for the rest of your life. This is the only Golf Digest rating factor that I 100% believe in. @the_fried_egg So many rate "the experience" and not the architecture. It's fine if the list is about top 100 experiences - but it's not. Michael’s take on it exemplifies what is wrong, Golf Digest’s system doesn’t do what it is set out to do - rate the 100 best golf courses. Its system is rooted around criteria that rate the experience rather than the quality of the golf course. While the categories that compose the ideal rating system are subjective in nature, I find the Golfweek rating criteria far superior. They place an emphasis on the golf course in stark contrast to Golf Digest’s criteria which are more about the experience. Comparing the two, it’s clear that the Golfweek system will produce a far more reliable analysis of the best golf courses. It’s unfortunate that thousands of golfers look to Golf Digest’s list for guidance when planning future golf voyages. They may pick a destination with a course that is a product of a flawed system. The golfer spends a great deal of money and time getting there, pays upwards of $200 for greens fees, and hits the links. He is treated like royalty when he arrives, the course is immaculately conditioned, and the amenities are superb. When he plays the course, he gets a rude awakening because, though it may be visually stunning, it’s unplayable for the average golfer. He shoots a terrible score, loses $50 worth of golf balls, and is generally discouraged. Is that the course we want to promote to the masses? Does it inspire you to play more, provide a fair and fun test for golfers of all skill levels, and possess unique and interesting challenges? And, as you play the final few holes, do you find yourself in a bittersweet state, knowing the round is nearing its end? In no way am I saying Golf Digest’s list should be abolished, but rather that it should undergo a major reform to put the golf course first and not the experience. GD is one of golf’s biggest influencers, and its rankings provide golfers with dreams and aspirations. Let’s just make sure they are dreaming about a course they will enjoy playing. Love reading about golf, golf courses and architecture? Never miss a post by joining our newsletter group! Tree removal can be a very touchy subject. In the case of the 12th at Prairie Dunes, Jason Way dives into why the trees should stay. The new Coore & Crenshaw designed Sandbox breaks many of golf’s conventions. Leading the charge for restoration: Cedar Rapids C.C. In the latest Field Report, Jason Way examines the restoration effort at Cedar Rapids C.C and Vaughn Halyard’s perseverance. 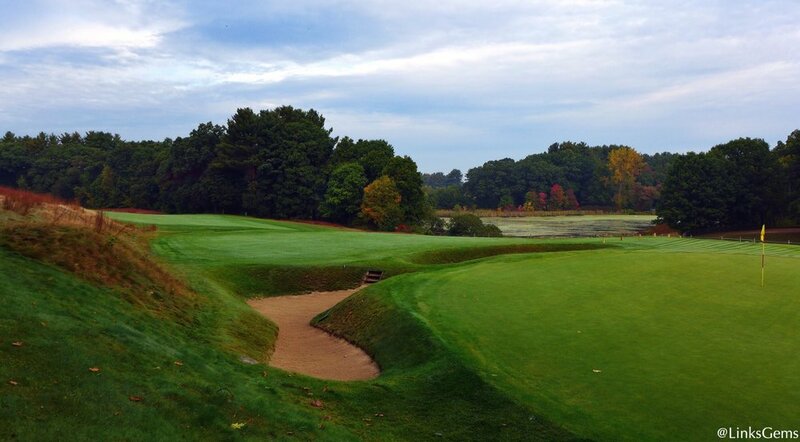 The crown jewel of architect’s William Langford and Theodore Moreau and one of the best values in golf, Lawsonia Links. A look at the Charles Alison designed Knollwood Club in Lake Forest, Illinois. 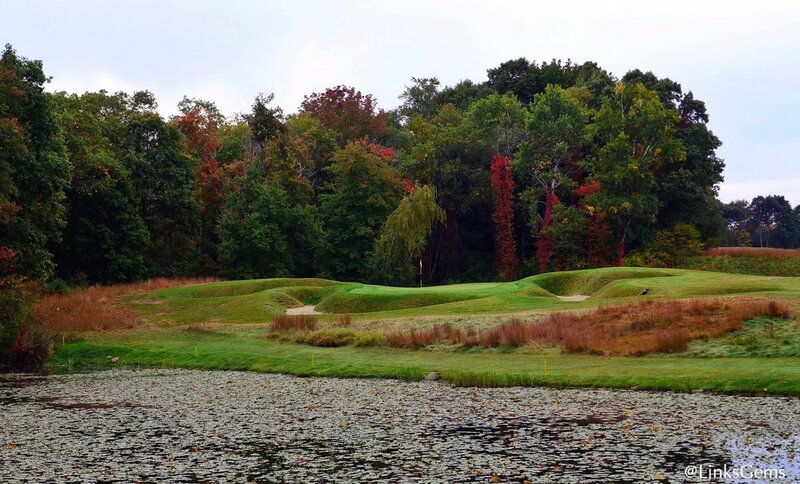 Field Report: Huntingdon Valley C.C. An inside look at Huntingdon Valley C.C. and Andrew Green’s restoration work to the fine William Flynn design.